On the way to the Seoul Arts Center – Seoriful Youth Art Gallery!!! On November 28, 2018, Seoriful Youth Art Gallery opened! A dark underpass that’s been left unattended for nearly 20 years. You said you turned into a Surprise Art Gallery. 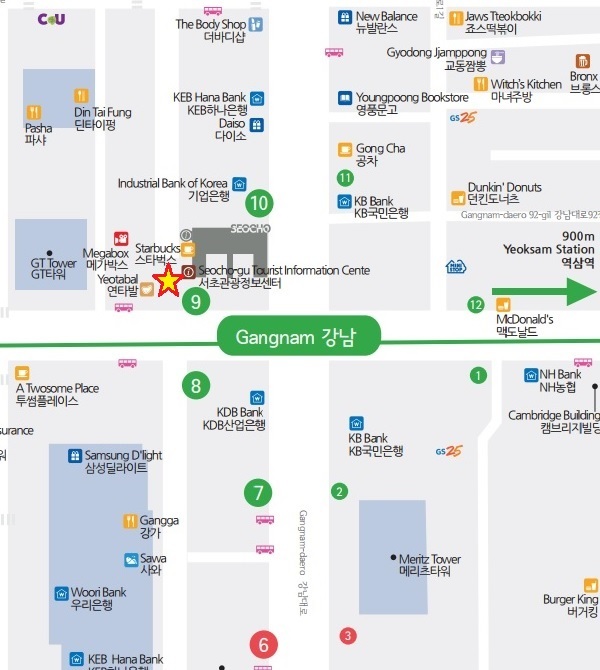 I visited the Seocho Tourist Information Center in person. When I went down the stairs, I saw the Seoriful Youth Art Gallery. The writers who proudly put their name on “The Stairwayism”are all over the place. It was Gossari, Lee Kyu Hwan, and Lee Jiyeon. These guys were killed last October. Lee Kyu-hwan’s work welcomes us. He’s wearing his own make-up and he’s stepping on the scrap paper himself. It was so novel that I went into the author’s work. It was so nice to add video. Can you come in a little more? There was a picture of a cushion, a lamp, and a wall. This is part of Lee Ji-yeon’s book, “Pretty Imagination. It’s both three-dimensional and mysterious. Personally, “What’s the landscape behind the door in the picture?” It was a curious work. I was impressed by this work. I wanted something at first, but he said he could go inside and experience it himself. It was a unique experience when I went in. If you’re curious, visit it and try it out. 제가 너무 신기해서 여러 번 체험하고 있던 중 한 분이 저에게 다가오셨습니다. 바로 이 작품의 작가 고사리님 이였습니다. 마침 제가 본인의 작품에 관심을 갖고 체험하는 것을 보고 다가오셨다고 하셨습니다. I was so amazed that one of the people who’s been experiencing it many times came up to me. It was Gossari, the author of this work. I stopped by the gallery today. He said that he came to see me and experience his work. I met the author unexpectedly and communicated. It was a great time to hear the writer’s introduction. You should visit them and find your own title. This is by author Lee Kyu-hwan. It was so fresh and unique. The sky ceiling is so pretty. This was in front of the Seoul Arts Center. Before the crosswalk, it was the entrance road to the Seoul Arts Center. Open hours are from 11 a.m. to 7 p.m. every day.